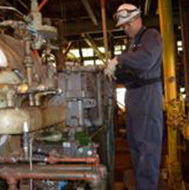 Primac Reliability is committed to the health and safety of its employees and to all those we work alongside. Our zero lost time record demonstrates how we balance the importance of following safety procedures with the efficiency of getting the job done quickly and delivering visible results. With an in house Safety Manager and team that supports the health and safety initiative, Primac is able to effectively meet all of your health and safety requirements. 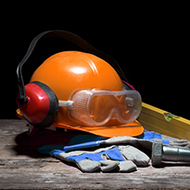 Every employee will be considered accountable for their own safety and for that of their fellow workers, and must ensure that they understand and comply with all relevant safety and health regulations, policies, procedures, instructions and practices. Immediate response to all unsafe situations is expected of all employees – the situation must either be rectified, reported immediately, or other measures taken to isolate the danger. To find out more about our safety program or to discuss what safety would mean for you as a Primac employee contact our office at 780-986-1327. Contact A Primac HSE Rep.
We have zero lost time injuries in the company’s history, an impeccable safety record!